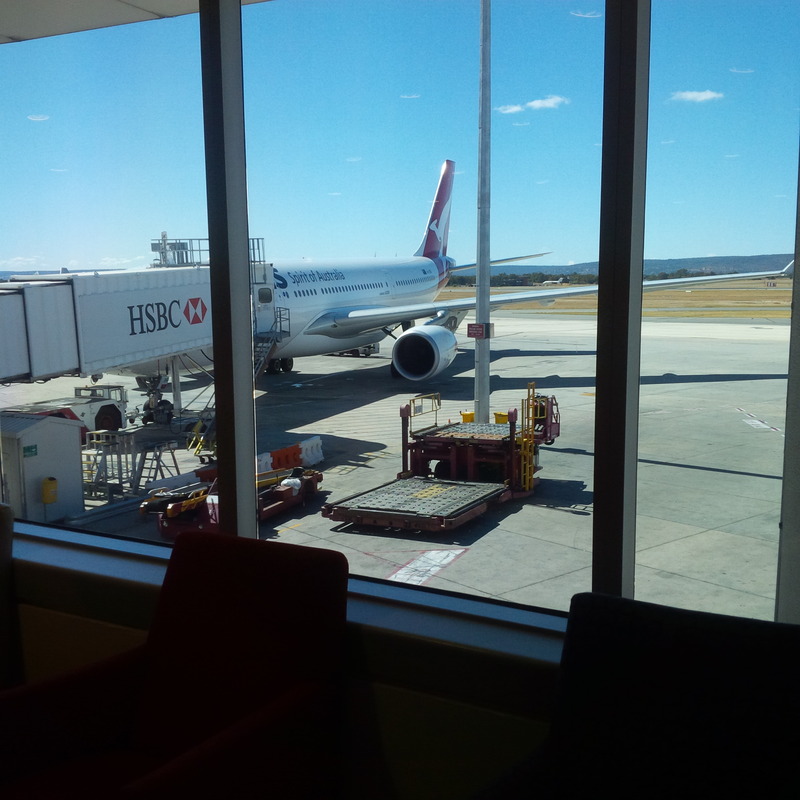 Now I’ll give you a brief run-down of my little trip back from Perth (if you want to know more about the coast to coast flights with Qantas check out my review from Christmas and my trip across this Easter) as it was quite uneventful. Every trip has customary view to check out the lounge and view the tarmac and this trip is no different… of course the best views are from the International Lounge (I did a whole post on that back in October – you can see it here), so I limit myself to just one photo for this post. 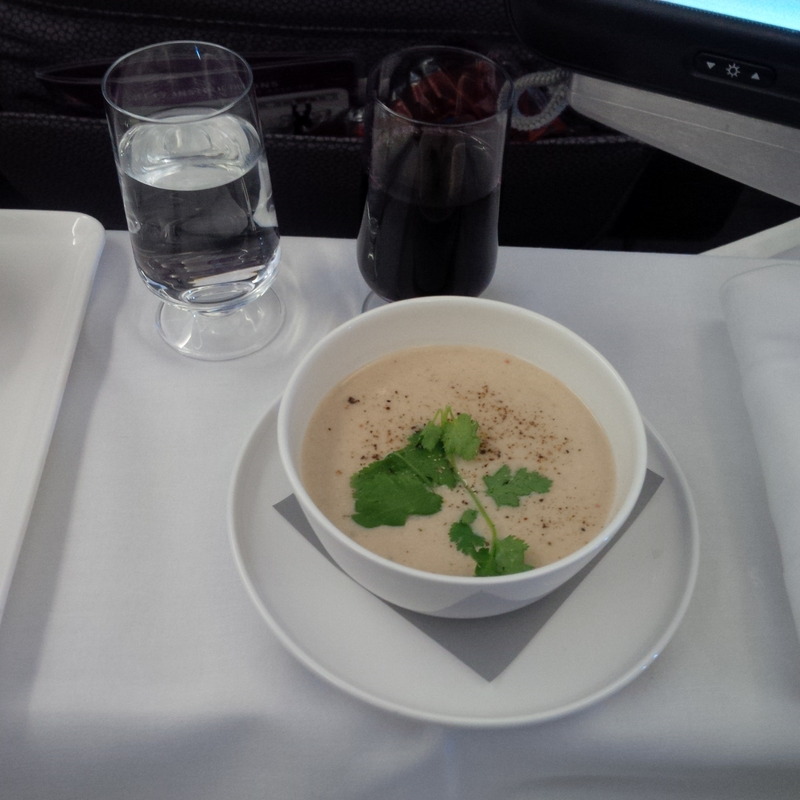 Once I am settled on board, we start with the lunch service. For wines I can’t say no to the Two Steps Shiraz from West Cape Howe Wineries in WA. It just oozes of of dark fruit flavours on first taste and release a plummy aroma. There are little hints of spice in the taste and tannins and oak provide a gentle bite into the finish. The soup is nice, the creaminess of the coconuts and spices definitely provide a nice offset, but it doesn’t knock it out of the park. It’s a good entree nonetheless. The Tandoori Chicken is tender and cooked to perfection. The spices are amazing and provide for a flavoursome dining experience. 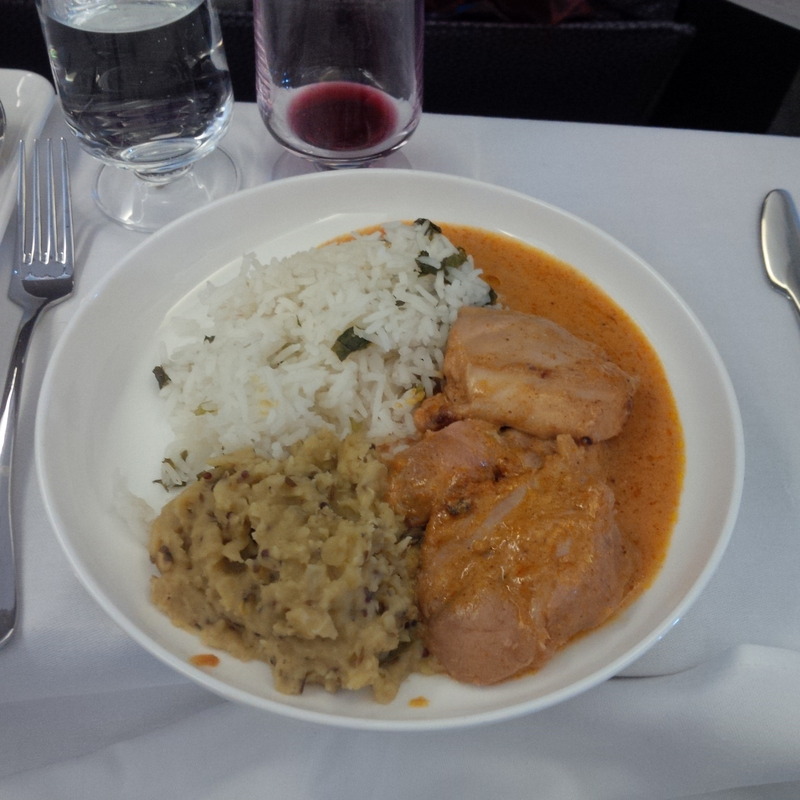 Overall the rice and dhal provide the dish with the right level of textures, fragrances and colours to keep one excited. For dessert they have the beautiful Noble One… can anyone not like the sticky honey like liquid that is the Noble One? 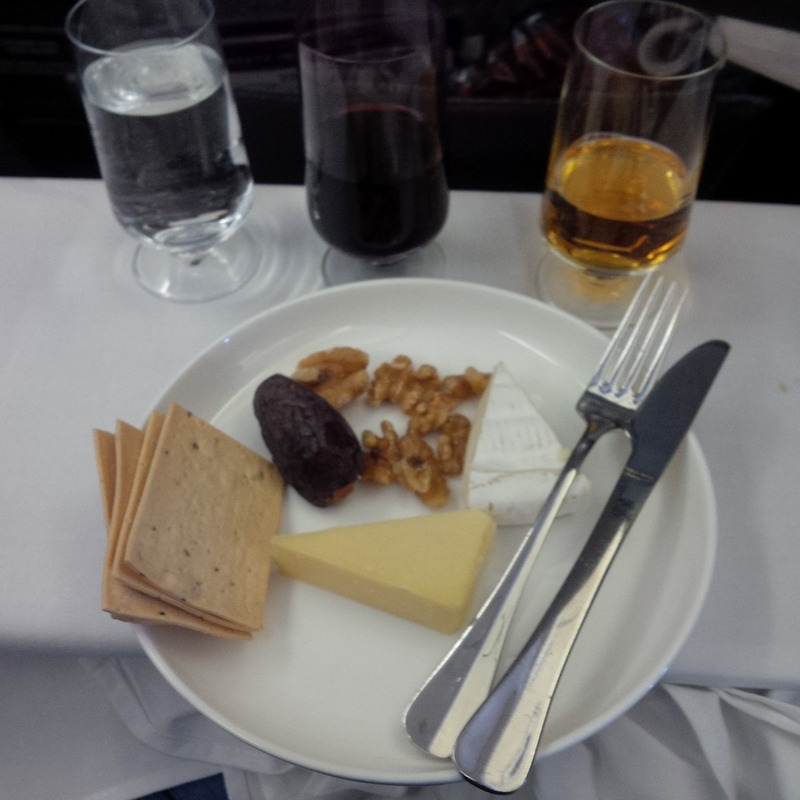 The cheese plate is amazing… they didn’t have it on the flight over – but thankfully they had the sense to include it on the menu this time around. I spend my time just working through the cheese plate. The creaminess of the cheese and the sticky sweetness of the figs are just lovely especially when paired with the amazing lavosh crackers. In fact I think it’s a similar cheese tasting experience I had on my flight from London. Wine & Cheese is a win always! I spend the flight watching Veep (cool new sitcom with the lady who played Elaine on Seinfeld). It’s a funny show, so recommend it next time you tune into your in-flight entertainment. Although I reckon nothing beats Seinfeld though! So the flight ends… it’s sad! I just love being on a plane.